In this article we will discuss about Some basic concept of macroeconomics and aggregates of economics, types of goods produced in economy and classification of consumer goods. Aggregate Consumption ⇒ In an accounting period consumption of goods and services of economy. Aggregate Investment ⇒ In includes all the expenditure by the producers on the purchase of goods which added to capital during the year. Aggregate Demand ⇒ Total expenditure on the purchase of goods and services during accounting period. Aggregate Supply ⇒ Total production of goods and services . Domestic Income ⇒ Income generated within the domestic territory of a country . General Price Level ⇒ It included the prices of all goods and services at the end of specific period of time. Final Consumer Goods – Those goods which are ready for their final users and consumers are their final users. For example : Bread and Butter. Final Producer Goods – Those goods which finally produced for its final users and producers are their final users. For example : Tractors and Harvesters, are used by farmer. Consumption Expenditure refers to that expenditure by the household on final consumption. Expenditure on final goods by producers is Investment expenditure. Intermediate Goods ⇒ Those goods which are purchased by the one firm from others for the purpose of resale, using them as a raw material. These are those goods which are used by the consumer for his satisfaction and these goods are used in production of oher goods. For example : Ice cream and milk used by households. Durable Consumer Goods → Those goods which are used for several time. Semi-durable consumer goods → Those goods which are used for a period of time. Non-durable or Single-use Consumer Goods → Those goods which are only used for single time. Services → Those non-material goods which directly satisfy human wants. 1). These goods may be used as raw material. 2). These goods are resold by the firm for profit. 1). These goods are not used as raw material. 2). These goods are not resold for the purpose of profit. 3). These goods are outside the boundary line of production. 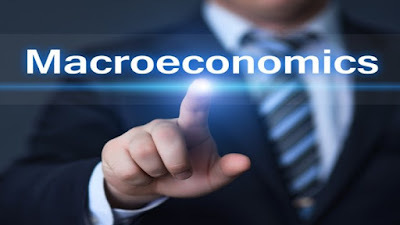 So we have discussed the Some basic concept of macroeconomics and aggregates of economics. If you have any query please let us know in the comments section below. The same good may be final good or intermediate good.The distinction depends on the end use of the goods.Like a milk is use by the household in tea is a final good but,milk used as araw material in the production of biscuits is an intermediate good. What are the conditions of the same good may be final or intermediate????? ?